The scene: a soccer field. A midfielder takes two steps before kicking the ball right toward the goalkeeper. But before he can reach the ball, two players from opposing teams sprint after the ball and crash into each other, then tumble to the ground. Now they’re stuck, rolling around trying to get back on their feet. This is the struggle of bubble soccer. 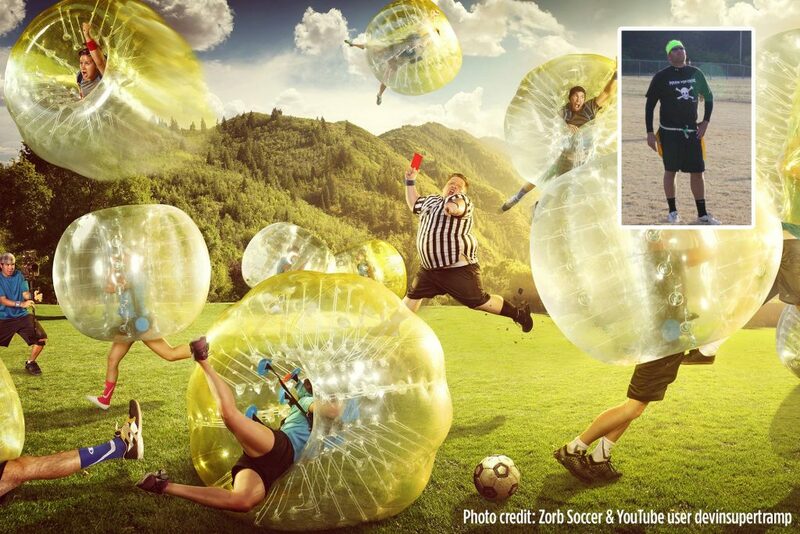 What is bubble soccer? It’s just what the name says: soccer — in bubbles. Each player has a blown-up plastic ball attached to their bodies that covers the space from above their head to slightly below their waist. The basic rules of the game are the same as regular soccer. He and his wife, Nicole, founded Nashville Sports Leagues in 2002, first hosting Happy Hours sponsored by Budweiser and Jack Daniels. 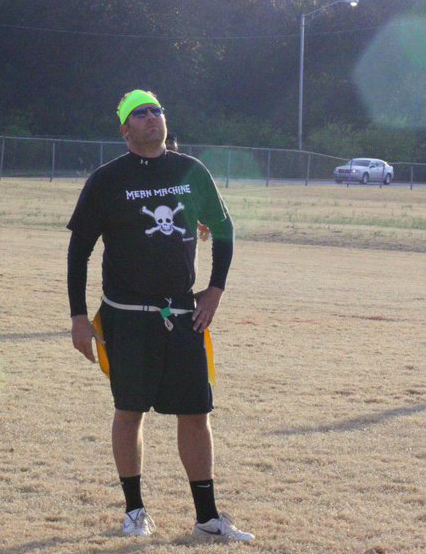 That fall, the first flag football league was formed with 13 teams. Like most things in Nashville these days, Nashville Sports Leagues has grown exponentially. During its first full calendar year (2003), there were 115 teams. Now, the organization is managing 440 teams in 45 different leagues. “It’s great to see people meeting people. Once someone sees that Nashville Sports League t-shirt, it’s an instant connection,” Steen says. 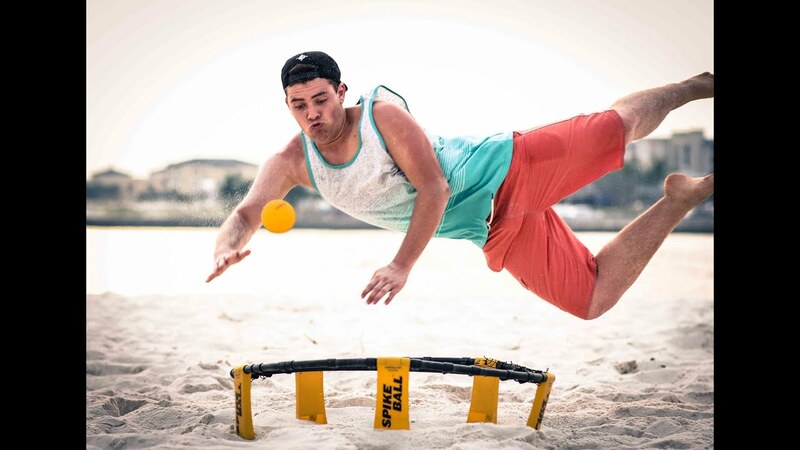 Not only are there sports leagues for every player; there are many new sports available such as bubble soccer and Spikeball, which is like volleyball, but a little more interesting (see sidebar for description). Above all, Nashville Sports Leagues create a spirit of fellowship and camaraderie. Each team has a sponsor bar where teams often go after games and where player appreciation parties are hosted. 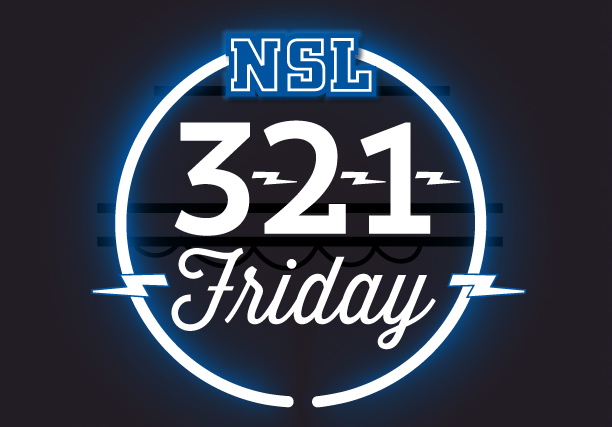 A monthly league-wide party called 3-2-1 Fridays features drink specials and games like giant Jenga and giant Connect Four. Citywide events are also held a few times a year where league members can raise their glasses with the rest of the community. The Brew-B-Q festival is coming up in October and will be held at Nashville Sports Leagues’ new location in ONEC1TY on Nashville’s West Side. 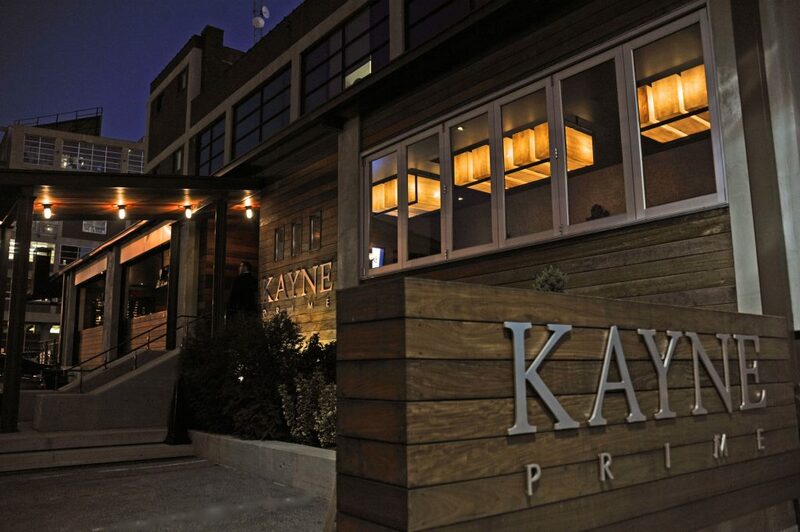 Ales & Tails, also to be held at ONEC1TY, is an event where attendees enjoy crawfish and beer. 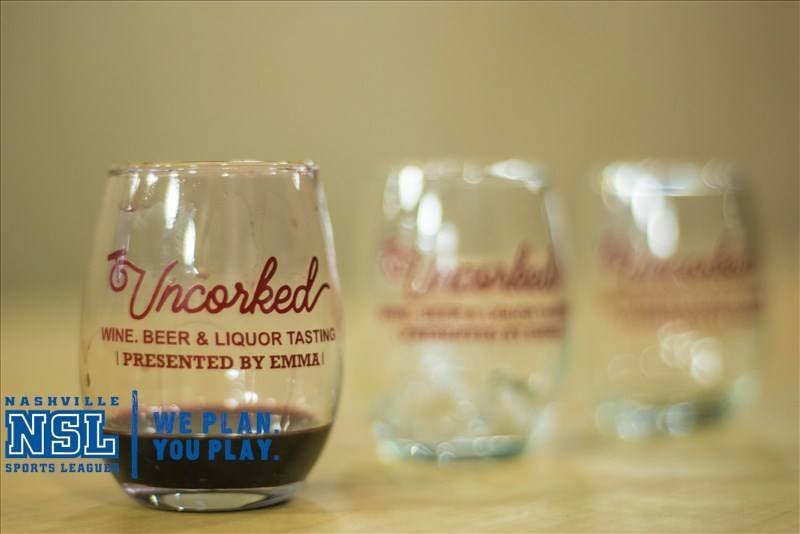 Uncorked, a craft beer, cocktail, wine and food festival, is held annually at the My Emma Bistro. Steen believes giving back is just as important as having fun. 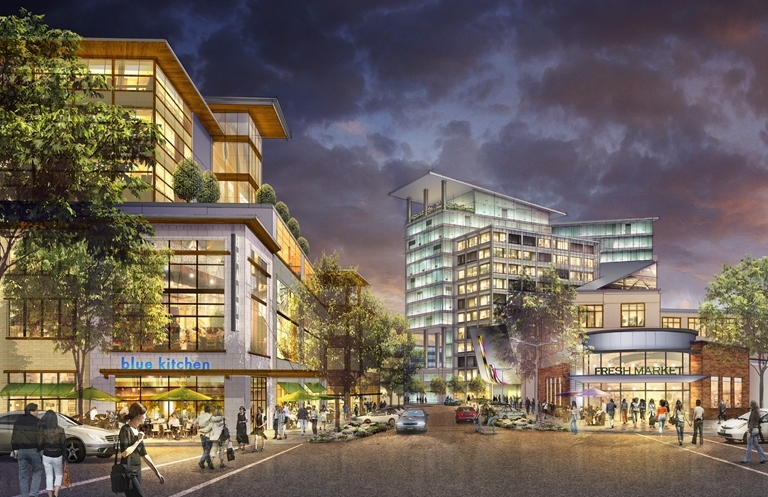 Because of his deep commitment to the city, Nashville Sports Leagues was asked to join the ONEC1TY complex, a new development in Midtown that promotes healthy living among the city’s residents. 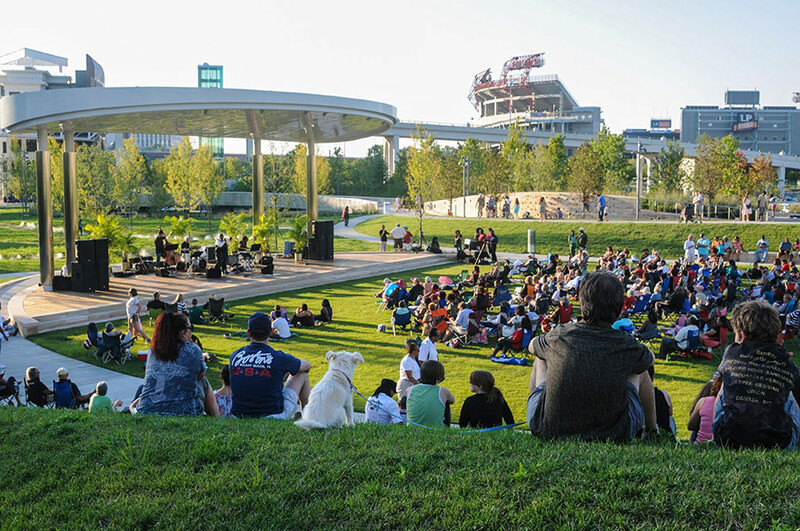 Along with the central offices for Nashville Sports Leagues, businesses within the development include CrossFit Nashville and AVO, a vegan restaurant that serves dishes made of seasonal, locally grown food. Currently, NSL, CrossFit and AVO are all in C1TYBLOX, a temporary site full of shipping containers that house the businesses. When ONEC1TY is completed, it will have everything that a person needs to live a healthy, green lifestyle: natural, locally grown food; fitness activities, including yoga classes (already in session), CrossFit and NSL; greenery all around, fed by storm water and groundwater; restaurants with cooking classes; an office tower; and residential buildings. The outside looks like regular shipping containers, but inside it’s a typical building. This living wall and bar at AVO is made of wood pallets. Along with his duties at Play Rec Sports, Steen participates in a number of philanthropic organizations. After renting a park from the Boys and Girls Club of Middle Tennessee, he became involved in the organization and now serves as a member of the Board of Directors. Steen takes time to refocus and recharge his batteries by traveling the country with his family. Each fall, Steen embarks on a journey to the beaches of Florida to see his and Nicole’s families. This year they will also travel north to Ohio for a family reunion. But even on vacations, Steen finds ways to stay active. The entire Steen family will visit a state park along the way, where he plans to take his young son, Owen, on an adventure in the wilderness. Hiking is one of Steen’s favorite pastimes: he recently completed trails in three different states over the course of a month. He began in Alabama at Monte Sano State Park, continued on to Eagle Bluff, a segment of the Cumberland Trail in Tennessee, and finished his journey in Georgia on the Appalachian Trail. As every hiker does, Steen has one story he’ll never forget: getting stuck on the Appalachian Trail with a rattlesnake. Steen and his wife have started a website TalesfromTrails.com to share advice about hiking and other outdoor adventures, including tips on what to pack, wear and eat. It’s just one more way they share their love of active living with others. With many mountains to climb in both his life and his career, Steen has no intention of slowing down anytime soon. To learn more about Nashville Sports Leagues, check out their website. Steen knows that part of healthy living is eating right and keeping an energy balance — and he’s frustrated by the high cost of fresh foods like produce and dairy products. Steen’s solution: starting his own garden of sustainably grown, unprocessed food. 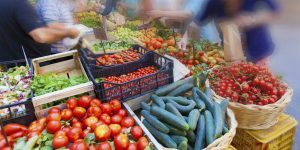 He’s excited about harvesting a wide array of fruits and vegetables — tomatoes, jalapenos, bell peppers, green onions and squash. But he still wonders how far he can expand his reach. 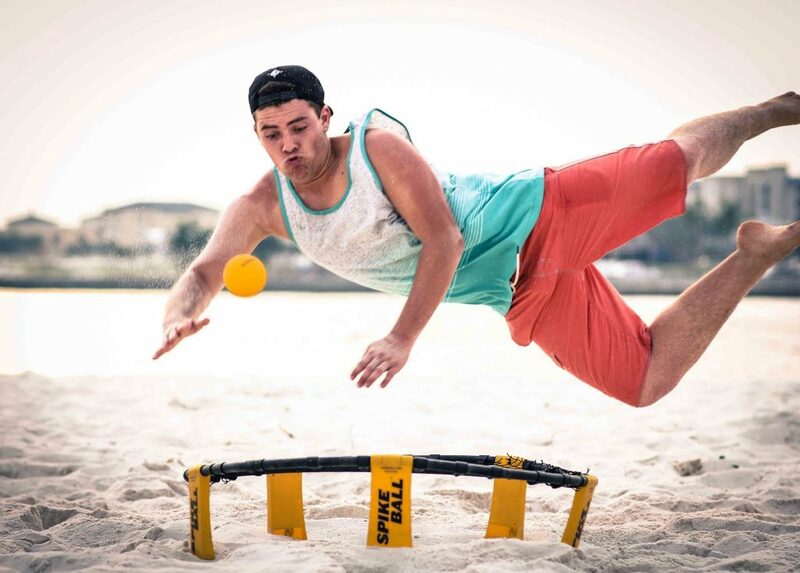 Similar to volleyball, equipment includes a ball about the size of a baseball and a net the size of a hula hoop. Two pairs of players are pitted against each other, volleying with a teammate and then spiking the ball down at the net so it bounces up towards the other team. If the other team can’t spike the ball back with three touches of the ball or less, the serving team wins a point.